It’s only Tuesday, and I already feel like my to-do list has become such a long and intense list, or more like book, that a little extension on the standard 24 hours is absolutely necessary. Maybe the list just seems longer than normal since this past week was a four day weekend: Valentine’s Day festivities at school (making 36 Valentine’s cards is one intense project), more Valentine’s Day festivities with family, a family road-trip on Sunday, and a holiday on Monday (hello, President’s Day). 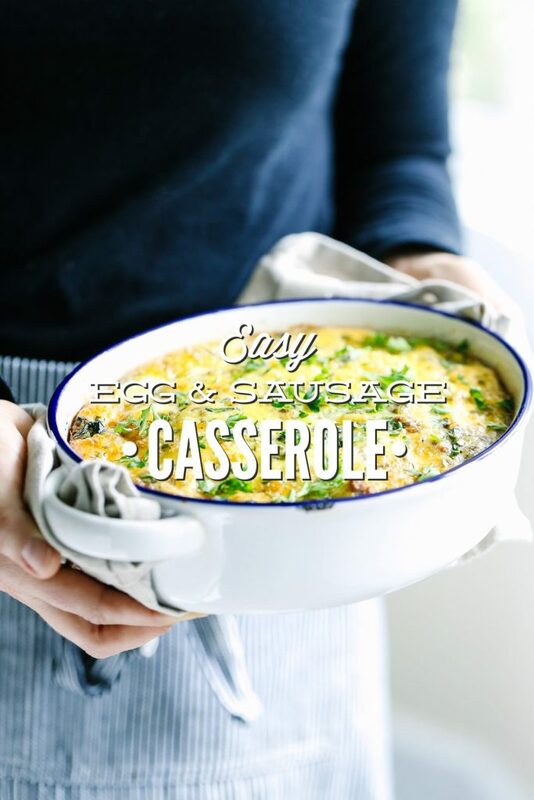 Despite my ever-growing to-do list, this casserole just must be baked and shared before any conquering is going to happen, because this Easy Egg and Sausage Casserole is actually going to help make that intense list a bit more conquerable by creating more time in my morning routine. 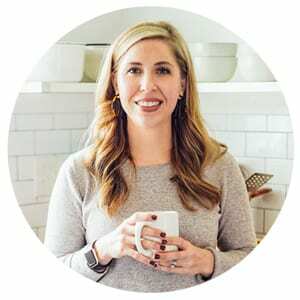 One of the biggest changes that comes with embracing a real food lifestyle is the switch from ready-to-go convenience food to lots and lots of ingredients now filling the pantry, fridge, and freezer. The switch can feel a bit overwhelming at first, “Wait, does this mean I have to cook breakfast, lunch, snacks, and dinner every single day? That’s a lot of time spent in the kitchen.” Add in that to-do list, and well, the thought of spending so much time in the kitchen just feels like pure defeat. Wow, I’m quite the optimist today, huh?! I promise, there’s very good news behind all of this gloom and doom talk. 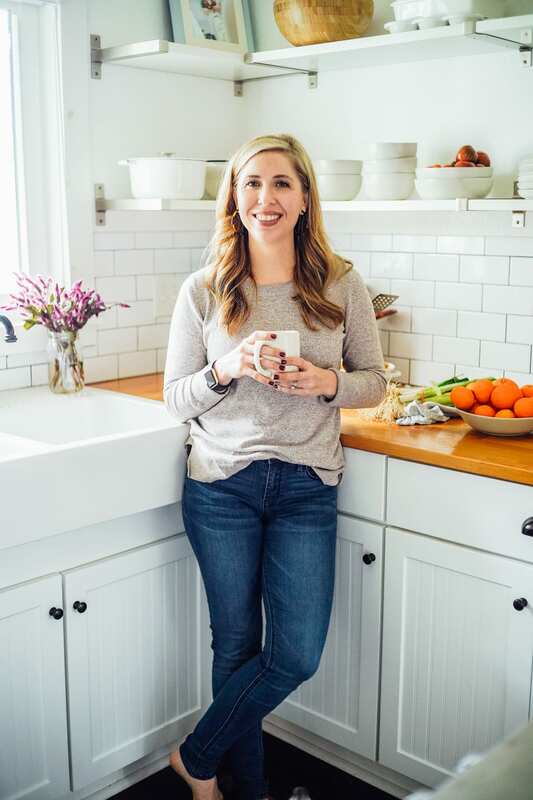 Since real food means embracing “cleaner,” “better,” and more nourishing food that’s usually made in a home kitchen (most of the time), it’s important to make this lifestyle work for daily life (hello, to-do list…I’m still thinking about YOU!). For me, this means prepping food in advance that my family can enjoy throughout the week to make real food, and real life, simpler. And here’s the best news. So many amazing meals and ingredients may be prepped in advance without compromising taste or texture. A few of my favorites include: soup (my absolute favorite meal to prep and freeze), breakfast burritos, bean burritos, peanut butter and jelly sandwiches, smoothie packs, biscuits (just freeze the dough raw and bake at a later date), homemade mac and cheese, chicken salad, hardboiled eggs (do not freeze), omelet cups, and finally…egg casserole. Can you guess which one we’re going to prep today? 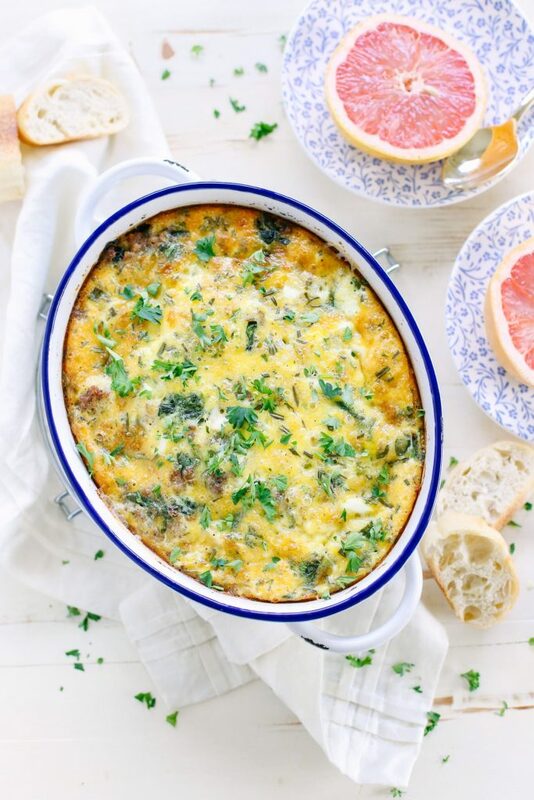 An egg casserole is simply a combination of eggs, cheese, veggies and/or meat. 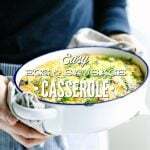 The combination is then baked in a casserole dish, and may be served fresh (think: Christmas morning or a weekend breakfast), or prepared during a weekend prep time and stored in the fridge as a ready-to-go breakfast meal for the week ahead. Unlike a smoothie or muffin, which usually require an extra something to be considered a “meal,” an egg casserole is a complete meal in one compact slice: eggs, meat and/or veg, and cheese. <–I mean that ingredient alone makes it a meal, right?! Just kidding ;). With a convenience-style real food breakfast prepped and stored in the fridge for the week ahead, the to-do list can be conquered. Let’s do this! I’m fueled up and coming for you, Mr. To-Do List! An egg casserole is simply a combination of eggs, cheese, veggies and/or meat. 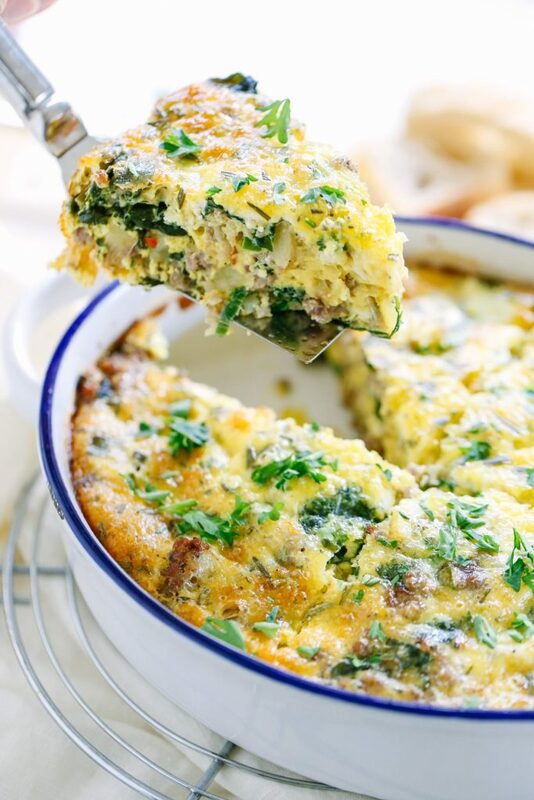 The combination is then baked in a casserole dish, and may be served fresh (think: Christmas morning or a weekend breakfast), or prepared during a weekend prep time and stored in the fridge as a ready-to-go breakfast meal for the week ahead. 1 lb ground sausage I've used a bit less without any issue. 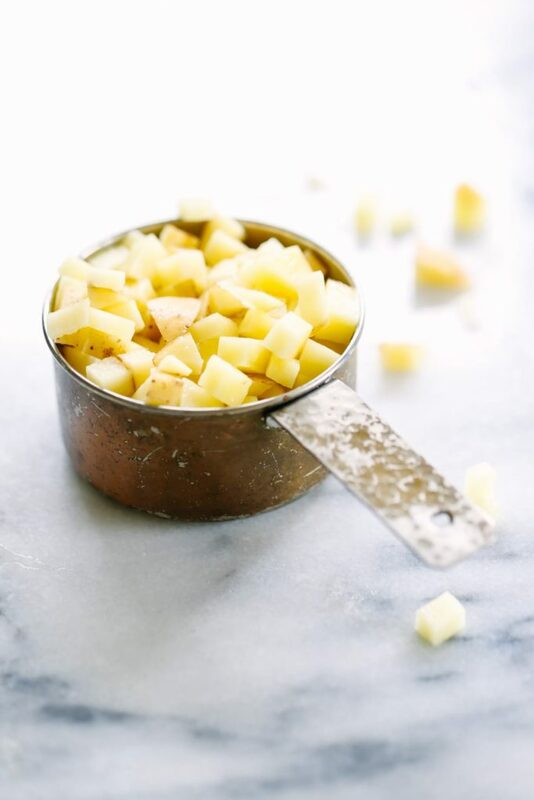 1 cup finely diced potatoes I like to use Russet. I prefer to leave the skins on the potatoes. 1 TB chopped fresh herbs I love to use rosemary and basil. In a large skillet, over medium-high heat, melt the butter and add the sausage. After about 3 minutes, stir in the potatoes. Cover the skillet and cook the potatoes and sausage until the sausage is brown and the potatoes begin to sweat and soften (about 8-10 minutes). 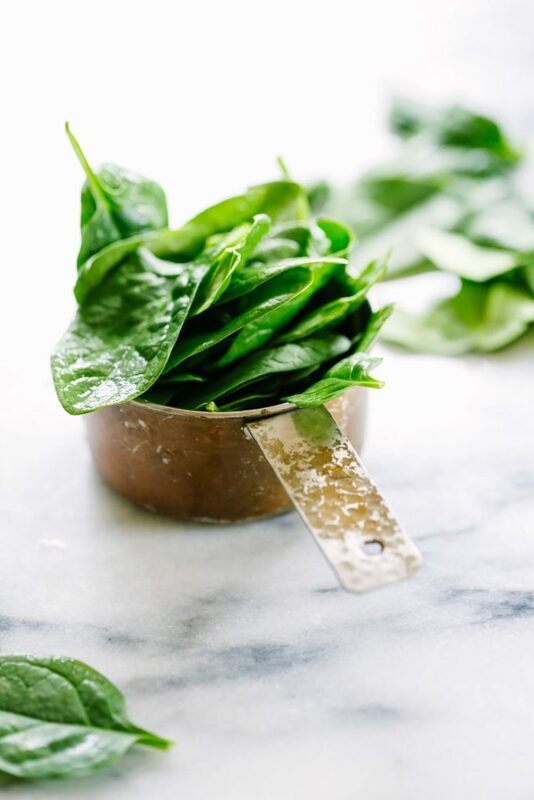 Add the spinach to the skillet and continue to cook the greens, uncovered, for about 2 minutes until wilted. Stir in the chopped green onions. Pour the mixture into a casserole dish (I use a pan that's slightly smaller than 13x9). Alternatively, you can use the skillet as the casserole dish. In a medium-size bowl, whisk together the eggs, milk, cheddar cheese, fresh herbs, salt (if your sausage is seasoned with salt you may want to decrease this amount), and pepper.Pour the egg mixture over the top of the sausage mixture. 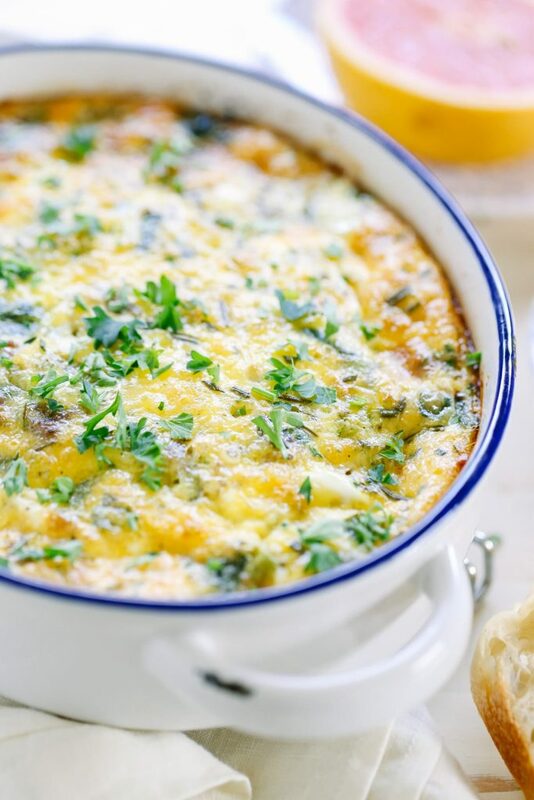 Bake the egg casserole for 30-40 minutes, until the center of the egg casserole is firm. Check on the casserole around the 30 minute mark. Remove the casserole from the oven. Allow the casserole to cool for 5 minutes. Cut and serve. Store the prepared casserole for up to 3-4 days in the fridge for an easy make-ahead breakfast meal. Another option is to cook the veggie mixture 1-2 days in advance, and then follow the instructions when you’re ready to bake the casserole. Another option is to prep the entire casserole 12 hours before baking (the night before), store the casserole in the fridge (covered), and then bake according to the instructions. I had a question about the recipe. Could you make this ahead of time, and then freeze it in single serving portions? If so, how long do you think it would last? How would you reheat it? Hey Rachel, Yes, I believe that will work very well. An egg casserole can be frozen for up to 2-3 months after baking.